The big question will be the same as last season for Peterson: What does he have left? Over the past two seasons, he's averaged 3.1 yards per carry, third lowest among backs with at least 150 rushes. "It shows me people don't really know about football," Peterson said. "People that know the game of football know different situations a player might be in. So when people go back and say, 'Oh, 2.4 yards per carry,' there's a lot that contributes to that as well. I just brush it off." "He's a physical freak," Redskins coach Jay Gruden said. "He's in great shape, explosive, and that's what sold us. Some of the backs we had in here (for workouts) were huffing and puffing, keeling over. He was standing straight up. He could have gone on another two hours." More at the article. Peterson has 99 touchdowns, I'm sure he'd love to break into the 100 club. 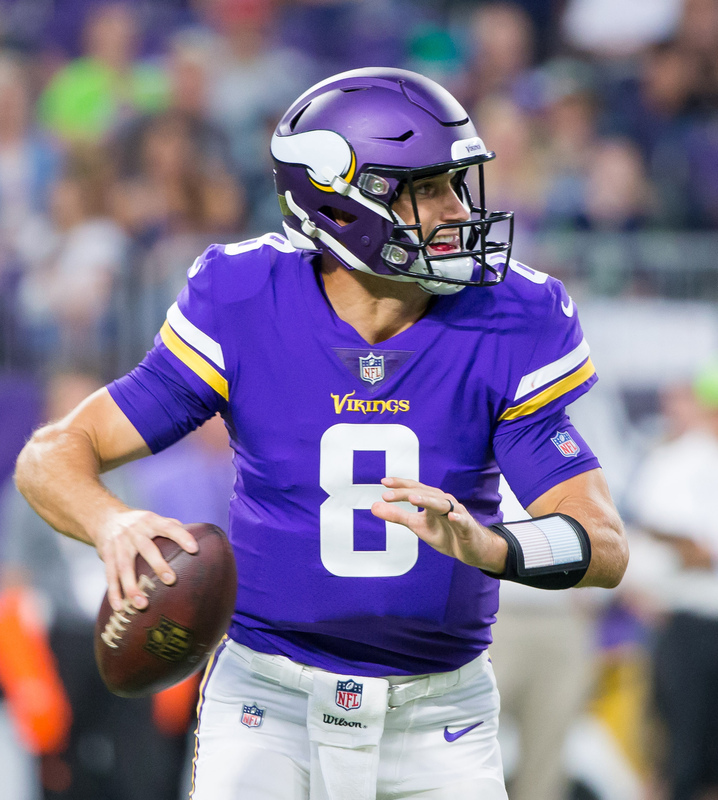 I realize it is not a foregone conclusion Peterson makes the team, but I gotta say Teddy with NYJ, SB with Arizona, Case with Denver, AD with Washington, and the Vikings with a loaded team should make for a fun year of football. I think the issue with AP is less age and more predictability. He no longer can overcome everyone knowing he is getting the ball with his athletic ability. If his name wasnt AP he could be a 1000 yard back. I'll be curious to see what he can do behind a Redskins line that is pretty decent at run blocking. Its been a LOOOONG time since Peterson had a line. Here's my thinking though. He's 32, right at the end of the road for most RB's. He's also coming in after back to back seasons with major injuries. I don't see how anybody can truly be confident in AP as a ball-carrier with his age, injury proneness and his penchant to fumble away major games. This is a disaster waiting to happen for the Redskins. It goes beyond simple predictability. He has always been a one trick pony and at his age it is a foregone conclusion that his pass protection and pass catching skills are far from elite. So when he lines up it is either a run or a play action pass. Also, AP wants/needs to be lined up 7+ yards back. He doesn't do well out of shotgun where most QB in the NFL do best against modern defensive alignments. This further hinders the passing game making the play action even less of a threat. If the defense doesn't have to respect the passing attack (who is the Redskins QB again?) then it is run blitz all day long. In 2012 he was enough of a physical freak that he could overcome these issues. 2012 was 6 years ago and he not shown that he has that same kind of juice in the tank since then. 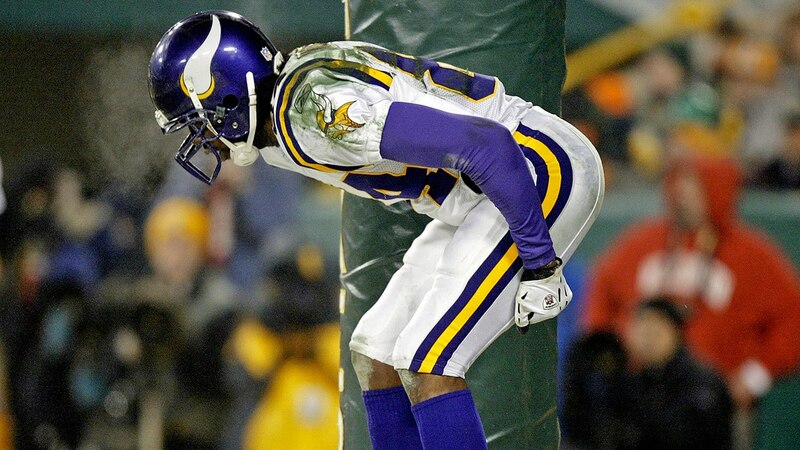 In a lot of ways, the AP saga is similar to Randy Moss. In both cases the Vikings had a first ballot HOF talent that they allowed to just do what they did best in the face of league where it was becoming more and more important to have players who could do many things well. The worst thing the Vikings did with AP was let him be a one trick player. They got to ride the gravy train for awhile, but in the end AP's career really is a case where you have to ask what could have been? I get he is a first ballot HOFer, but can you imagine what he would have been if he could have developed the rest of his game? I agree with you and Rhodes Closed. Peterson is a dinosaur. He is old in NFL years, and the style of his game is obsolete. He is poor out of the shotgun and not great in pass protection or as a receiver. He is liable to get injured and face 8-9 man boxes and run blitzes. I still think, if he fits anywhere, this isn't the worst option. The Redskins have the kind of line that might be able to go power and make it work with AP 7 yards deep. Alex Smith is a smart enough guy to find ways to exploit 8 and 9 man boxes. I'm not saying it will work, but I'm saying, if there's a chance Peterson could have one more productive year in him, this might be it. Fair point and he is certainly better than what they had. You spelled out exactly why he is predictable. I wish him the best. Would love to see him have another productive season. I forgot Alex Smith is the QB for the Redskins. Does he operate out of the shotgun? LANDOVER, Md. (AP) — Adrian Peterson showed the Washington Redskins what they needed to see in his debut by rushing for 56 yards on 11 carries in a 29-17 loss to the Denver Broncos on Friday night in each team’s third preseason game. Peterson carried the ball seven consecutive plays on one possession, and the 2012 MVP later picked up 15 yards on fourth-and-1. The Redskins signed Peterson on Monday after injuries to three running backs and were eager to see what the 33-year-old had in the tank. They got their answer: enough to likely earn the starting job Week 1 at the Arizona Cardinals. After only three practices, Peterson looked to have passed Rob Kelley, Kapri Bibbs and injured backs Samaje Perine and Byron Marshall on the depth chart. Sometimes you are the hammer and sometimes you are the nail. Here's hoping he is the hammer this year......unless of course they end up playing the Viks. Would love to see one more good year as everyone has given up on him. I know it's not probable but sure would be exciting. I don't think he'll do much. He is slower than molasses but still has some power. He's only getting about 1 million so it's low risk for Washington. Still can't catch or block either plus he's become an injury machine. He should retire. Hard to believe they can't find somebody better. AD is looking pretty good in the first half against the Cardinals. 14 rushes for 53 yards with 1 TD so far, plus 1 catch for 18 yards and he looks pretty fresh. With that TD he joined the 100 yard touchdown club and he also cracked the top 10 for career yards. I wish him well this season... hope he can avoid injury.